Stop smoking Hypnosis Lethbridge And Area is safe and effective! Many people ask about how hypnosis can work to help them quit smoking and the answer is simple – through this therapy we are simply undoing the hypnosis that started you smoking. This is a surprising answer to most people but it really is the most revealing. Hypnosis is suggestion and influence so think back to the first time you had a cigarette; maybe an older sibling smoked or your parents smoked, maybe you thought you would be cool by smoking. Maybe you were mad at your parents and starting smoking to “get back” at them. It might have been that someone you really liked or were dating smoked and so you started so that you could “fit in” with him or her better. Whatever the reason, it was a suggestion that made sense at the time and now you know that cigarettes are killing you and no longer serve a purpose in your life. Now you can undo that hypnosis and stop smoking! If you are tired of the expense and stench of smoking and of all of the health risks then maybe you are finally ready to quit smoking! James offers a guaranteed stop smoking program that is so effective, when you are ready to be smoke free – you can quit in one session! With this therapy program your cravings are taken away within minutes of stepping in the office. Most will quit after one or two sessions. Any cravings they have will be easily managed with the self-hypnosis techniques that they will be shown and with the cd that they will listen to every night when going to sleep. The best part about this is that if you do have any challenges you simply come back for a tune up – the follow ups are free for the next year (up to 10 short sessions to regain focus and clarify goals) following your initial appointment. 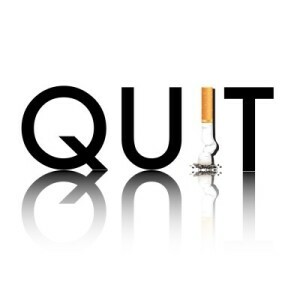 Stop Smoking Hypnotherapy may be the best way for you to quit smoking… you’ve tried everything else. You know it’s killing you. You’re tired of the habit and the expense. Now you are truly ready to break free! Stop Smoking Seminars are also available for groups, companies and for fundraisers.